New bivy design blurs the line between apparel and shelter; reinvention of the X-Gaiter creates warmest, lightest expedition gaiter ever made. 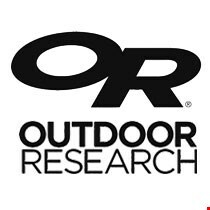 SEATTLE, Wash. (July 12, 2018) – Showcasing its commitment to solution-driven innovation, Outdoor Research, maker of industry leading outdoor apparel and gear, introduces a line of new products for Spring-Summer 2019 that unveils groundbreaking new products in multiple categories. Those include a super-light bivy that blurs the line between backcountry shelter and apparel, a gaiter that uses ultra-insulating Aerogel technology to extend the range of footwear in the world’s coldest places, a paddling glove that sets the bar for water-based functionality, and a variety of new apparel using proprietary, higher performing fabric and insulation technologies. Blurring the lines between apparel and shelter, the new Interstellar Bivy has a unique design that allows it to continue to provide shelter when the user is sitting up taking care of camp tasks in inclement weather. A lightweight Delrin pole keeps the bivy off the head and upper body when sleeping, but, when sitting up, the overhead portion of the bivy becomes a rain hat, with an extended area that sheds precipitation clear of the face. A unique U-shaped opening has six zipper sliders that offer a range of access and venting configurations, allowing a user’s arms access to the exterior to complete camp tasks while still protecting the body. That means a user can sit up in poor weather to cook food or pack up their gear while staying protected from the elements – a unique proposition in a shelter that weighs just 19.9 ounces. The Interstellar Bivy also uses OR’s proprietary 3-layer AscentShell fabric, which offers a higher-performing blend of air permeability, better breathability and superior stretch in a waterproof package, and helps more effectively manage condensation in a bivy. Thanks to super-insulating PrimaLoft® Aerogel and an ingenious design, the new X-Gaiter allows people to extend the range of mountaineering and ski boots for cold-weather or expedition use. The X-Gaiter is the first gaiter on the market to use Aerogel, and it’s also the modern-day reinvention of the very first product Outdoor Research ever made. Aerogel is the warmest insulation on earth thanks to its incredibly low density and thermal conductivity. It also doesn’t compress the way traditional insulation does, which greatly compromises warmth. In the X-Gaiter, Aerogel fully wraps the toe area, with minimal seams. It is compatible with a wide range of mountain and ski boots, including ones with tech fittings. At 16.8 ounces per pair, the X-Gaiters are roughly 25 percent lighter than EVA- insulated expedition gaiters. In the Refuge Hybrid Hooded Jacket, Outdoor Research uses VerticalX insulation, its proprietary technology that offers higher-performing synthetic insulation with exceptional water resistance and moisture management. Light 60-gram VerticalX panels are located on the front and back of the Refuge Hybrid, putting core warmth where it’s needed. Thanks to vertical overlaps in the design, VerticalX offers better loft, more akin to 700-fill down than most synthetic insulation. In the arms, side panels and hood, the jacket is made from a soft and ultra-stretchy woven fabric that allows unrestricted freedom of movement, breathability and versatile weather protection. No detail was spared in the quest to create the most functional watersports gloves on the planet. The Upsurge Paddle Gloves combine 2mm EVA padding strategically placed in areas where the hand contacts a paddle with synthetic suede palms, a breathable stretch knit material on the back of hand, and thin neoprene cuffs. Smaller details that make a huge difference include drain holes for water to escape on the sides of the hand, UPF 50 sun protection, and a touchscreen index finger and thumb for GPS navigation. $39. Sonora Hoody – Making the transition from the crag, the boulder or the trail to everyday life requires not just the right fabric, but the kind of functional and fun design that makes a hoody the one you reach for day after day. The new Sonora Hoody checks all those boxes with a hemp/cotton/spandex fabric that is soft, stretchy and resists odor – a natural property of hemp – combined with clean, good-looking design. It’s everything-you-need, nothing-you-don’t features include an adjustable hood, front kangaroo pocket and ribbed hem and cuffs. Men’s and women’s fits. $89.